I was asked to attend this conference which was held at YMCA Geneva Park in Orillia with two young ladies from UCC high school, Jordan and Hanna. I had a general idea what the conference was about but had no idea how inspiring and exciting the weekend was to be. There were over 150 youth both with and without disabilities and community allies from across Ontario in attendance. This movement is about youth working with youth to explore ways to be creative and use their voices to challenge society to change the way they look at diversity and inclusion. The weekend was very BUSY with a packed agenda of top-notch keynote speakers that are world renowned such as Ryan Porter –who gave a very fun and upbeat talk about “what should I do with my life” as well as Dr. Andrew Campbell – PhD. in Educational Leadership, Diversity & Policy, He spoke about diversity, leadership, inclusion and youth as leaders in community. Both of these speakers really challenged us as people who care about these issues to look at environments that are considered to be inclusive and see that there is much room for improvement. There was a panel of youth who are involved in the movement sharing their lived experiences and how the movement has given them the strength and power to make changes. This for me, and from the feedback I received from the girls was the most powerful part. There was much opportunity for networking and small group work to complete various activities as well as participating in an ‘Amazing Race’ that allowed friendships to develop amongst the youth and friends. This is a movement that I would be very pleased to be part of again. They are doing great things and I’m sure there is much more to come. In the summer of 2016, an idea was presented to engage more neighbourhood involvement in the Chatham-Kent area. Seeing this as an opportunity, people decided to host neighbourhood potluck barbeques at their homes. Dates were chosen, and the preparations began to make these events successful. Invitations to attend and join in for some fun were extended to neighbours residing on the same street and in the surrounding community. Many people called, excited to be a part of a neighbourhood event. 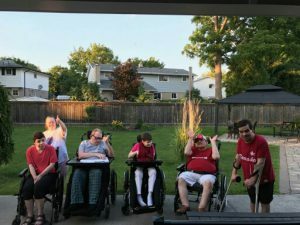 As the days arrived, the weather cooperated, and people began to gather in the front or back yards of the homes, setting up their lawn chairs, eager to have a wonderful time. The food was delicious and plentiful. Some barbeques had up to thirty people in attendance! One location in particular, had approximately fifteen people attend. Neighbours attended who had never met one another, only maybe to have waved while cutting the grass or driving by on the street. Everyone appeared very comfortable and the conversation flowed for hours. The barbeques allowed everyone the opportunity to share their stories and for some, to reconnect with people they had not seen in several years. Many were heard to say, “This should happen more often”, or “What a great idea!” The gathering of people from past events showcased the connections they had, and that may not have happened, had the invitation to be a part of something, not been extended. What an opportunity for Community Living Chatham-Kent to be the pioneer of true community connection! One of the neighbourhood barbeques provided the opportunity to discuss the annual block party held years ago. This summer, it was revived. People attended and reconnected with their neighbours who had attended their barbeque event in 2016. 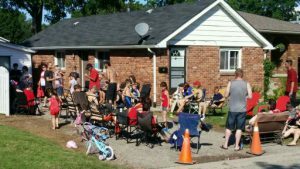 Another location ignited the neighbourhood to host a Canada 150 Celebration this year with everyone contributing to the purchase of fireworks, and feasting together. An additional benefit that arose was the formation of relationships with neighbours. One of the homes now receives fresh vegetables from a neighbour’s home garden, on a weekly basis. People enjoy talking with their neighbour about the garden. They express how thankful they are for the gifts, and their friend’s thoughtfulness and generosity. Knowing your neighbours takes on a different meaning when given the opportunity to engage and become one community through barbeques and block parties. Most people can point out a neighbour or person who lives on their street but his or her name may not be known. These events foster inclusion, and allow active participation of everyone. What does your neighbourhood look like? We are proud to say that Chatham-Kent’s looks great! Saaj is one of our valued and dedicated Volunteers. He shows up an hour early for his Bingo assignments, and is always greeting people with a smile. 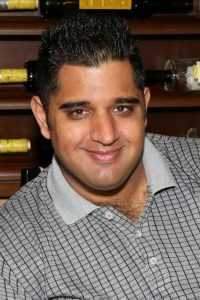 Saaj is known at the Riverview Bingo Hall for his extensive knowledge of elephants, as well as his great work ethic. Saaj is always willing to help at events wherever he is needed. He is dependable, and always wants to give back to Community Living Chatham-Kent. Thank you Saaj for your years of Volunteer service – we truly appreciate it! It’s All About Giving Back . 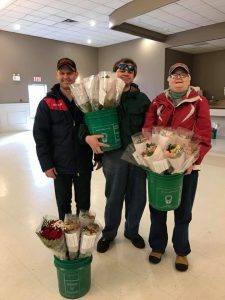 . .
Steven, Darren, and Joanne had a great time volunteering for the 17th Annual Roses for Rotary on Wednesday, April 5th. They helped carry roses to participants vehicles at the Portuguese Club. Through the kind-hearted action of Wallace-Kent Sprinkler Services, a local drop off centre for donations was set up and a convoy was formed to bring the goods to Fort McMurray. 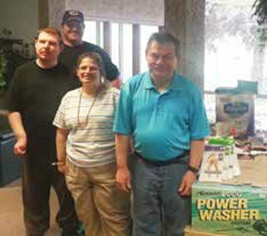 Community Living Chatham-Kent joined in the collection of relief items. A spokesperson from Wallace- Kent expressed how grateful and impressed they were with the amount collected from Community Living Chatham-Kent. In the spirit of compassion and empathy, the Park Day Program set out to collect monetary donations to “pay it forward” to the evacuated residents of Fort McMurray, Alberta. Funds were collected during the week of May 9 – 13, 2016. The goal of reaching a $200.00 donation was set and when the funds were donated to the Canadian Red Cross, the total collected was $290.00. Kudos to everyone who participated in this! For a number of years Desi has donated his time and talent to creating extra fluffy rugs for the cats in the OSPCA. He has always had a soft spot for animals, especially cats, donating approximately 1 rug per month. Desi took it upon himself to volunteer his talents and is very proud of his accomplishments. The wool and canvases are all donated and he is always eager to start a new rug when one is complete. Desi works diligently every day and takes great pleasure in the final product. He makes sure to use a variety of colours and enjoys creating his own patterns. Desi is so proud that he can give back to his community through something he is passionate about. 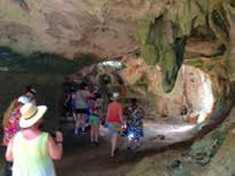 nt adventure included a trip to Cuba. 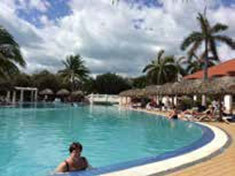 The Business Girls initiated and planned a trip to Memories Varadero Beach Resort. The resort itself was beautiful with well-manicured grounds, complete with many tropical blossoms. The lobby was one of the favorite places to meet, sit, and have a beverage while listening to great piano music. 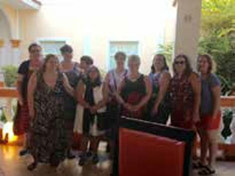 The ladies took a double-decker bus into the town of Varadero twice. There they were able to enjoy visiting the markets, a small mall where they could watch a man rolling cigars by hand, and stopping at a nearby nature reserve to explore cavernous caves complete with stalagmites, hieroglyphics, and many bats. 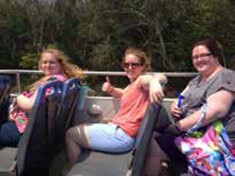 Some ladies also traveled by horse and carriage, or a train back to the resort. All the ladies saw some amazing shows, swam in the beautiful topaz waters, and languished on white sandy beaches. They also enjoyed a barbeque on the beach, and spent time by the many pools, daily. Three of the women participated in a Swim with the Dolphins excursion. They had an excellent captain and crew who took them by boat to spend time with some beautiful mammals. Most of all, it was a great cultural experience as the women readily conversed with the Cuban people, picking up Spanish words as the week progressed. They sampled different kinds of foods, and noted differences in the environment such as traffic, bartering, creatures, and plant life. The people they met were awesome, and the Business Girls came home with a new respect for how wonderful it is to live here in Ontario, Canada. 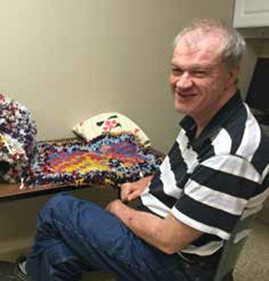 The Aktion Club of Chatham-Kent wants to recognize Rob Ralston for all of his hard work, dedication, and friendship that he has given the club since he has been involved. 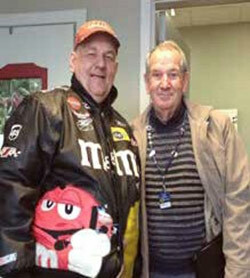 Pictured to the right, is Kevin Sinclair and Rob heading out to do some volunteer work. Each year, Rob pairs up with an Aktion Club member and they go out for a quick supper and then work the Kettles for the Salvation Army in the downtown mall. This is only one of many events that Rob has participated in with the Aktion Club. Rob is a huge advocate on the Club’s behalf. The Golden K’s invite the Aktion Club to their Christmas party each year which is the highlight of the year! The club can always count on Rob for a ride to the meetings and events. We want to thank Rob and look forward to a bigger and better club each year!!! 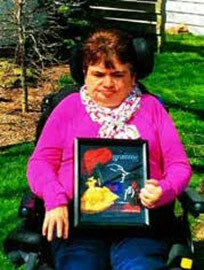 On March 6, 2016 Lori had the opportunity to go to The Princess of Wales Theater to see the Broadway production of a childhood favorite, Beauty and the Beast. The evening began with a fantastic dinner at the Italian restaurant “Forget About It”, just a five minute walk to the theatre in lovely downtown Toronto, where Lori enjoyed having two different desserts. Once at the theatre Lori was ushered upstairs to see the play. For two and one-half hours, Lori was avidly entertained with the familiar songs from childhood and lots of smiles were observed. After the show Lori made a few small purchases of play memorabilia. Once at home, Lori was assisted to create a shadow box as a reminder of the evening. Lori is currently planning another overnight trip to the Niagara area in June 2016.